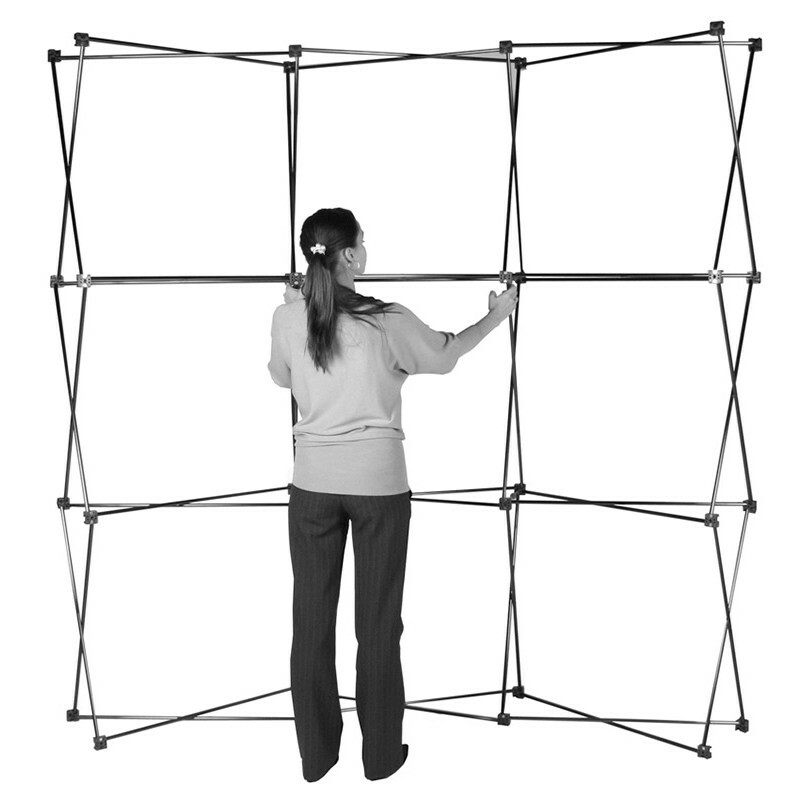 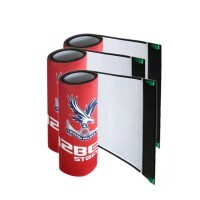 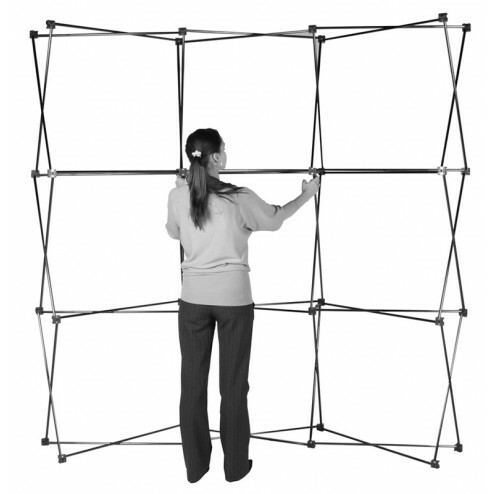 How to assemble a pop-up stand video, this video shows a 3x2 curved pop up but the setup is the same. 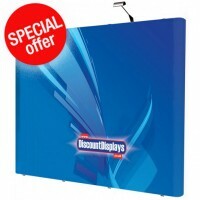 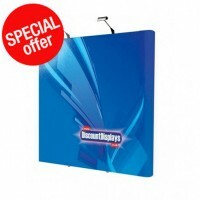 Quickly and easily create an impressive and professional looking promotional space at trade shows exhibitions, and retail events with this bespoke 3x2 straight pop up stand with graphics. 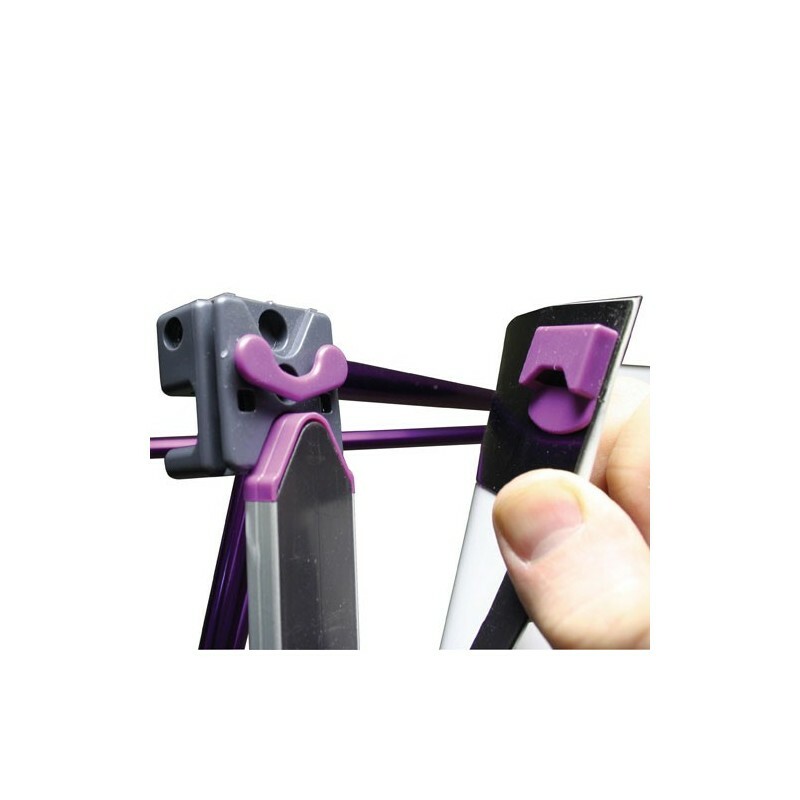 The straight pop up stand comprises a high quality anodised aluminium frame, which is lightweight and straightforward to assemble with magnetic locking arms – no tools or expertise required. 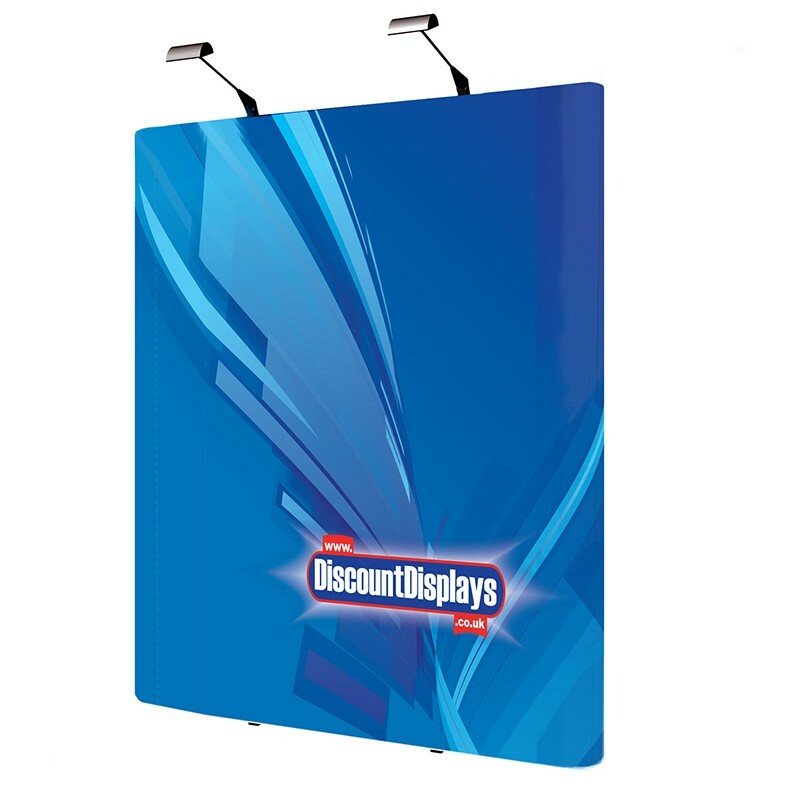 Once the frame is in place, simply attach the graphics panels and your stand space instantly features an attractive backdrop to advertise your business – the entire process takes minutes. Included in the price are high quality, custom printed graphics which are produced in-house using premium materials, including HP inks and laminated glare resistant graphics panels, and optional spot lights can be added for increased illumination. 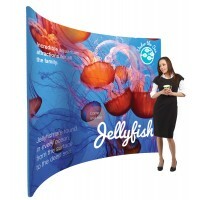 With crisp, clear text and colourful images, the bespoke stand is a high impact way to present your marketing messaging for exhibition stands, trade shows and demo areas where floor space may be limited. 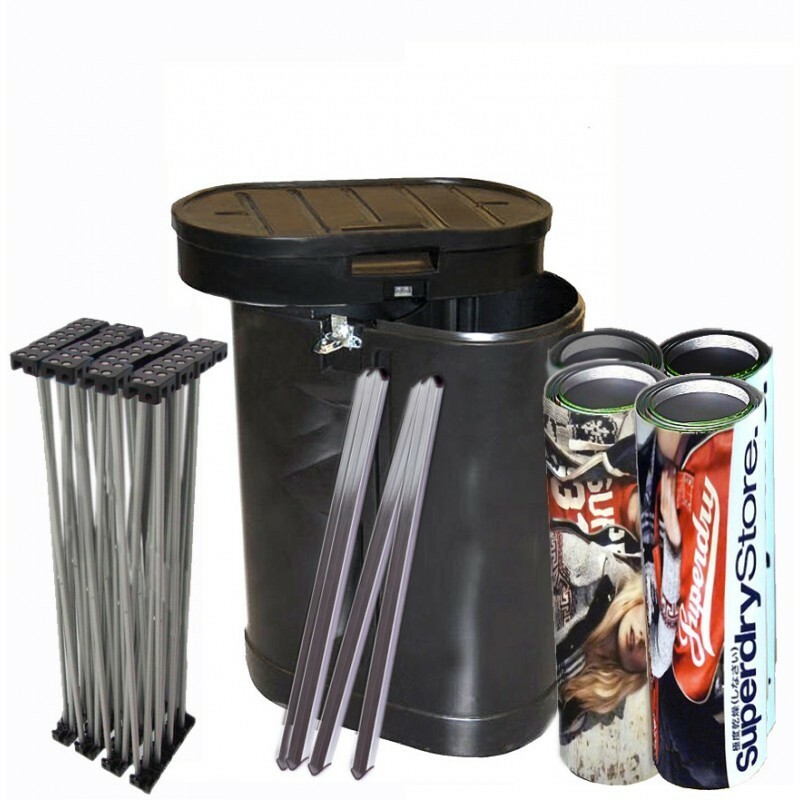 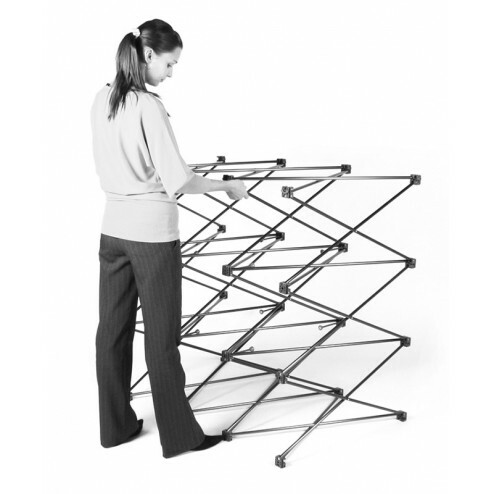 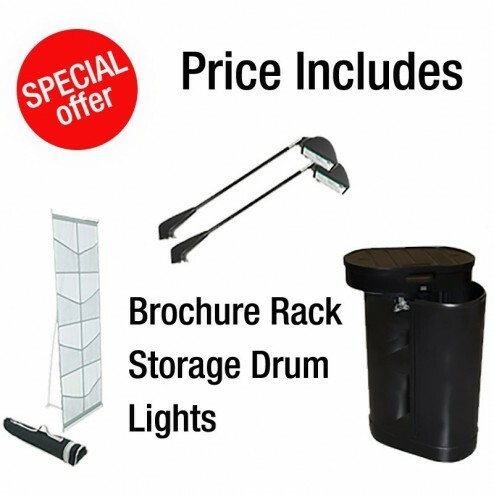 Easy to collapse, transport and store, the stand folds down to a fraction of its original size, and an optional storage drum is available for complete convenience when carrying and shipping it. 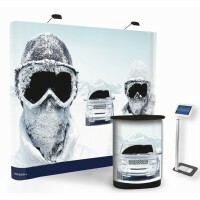 Suitable for use in almost any location, the pop up stand is designed to quickly attract attention at recruitment fairs, open days, promotional events and exhibitions, or provide a professional backdrop for photo opportunities and showroom spaces. Strong and reliable, the pop up stand’s space saving, straight design reserves more of your exhibition floor space for delegates, furniture and product demonstrations, making it a practical as well as attractive choice.